Los Angeles – [February 18, 2014] – Thought Development Corp., developer of the leading workflow management system for the media promotions industry, announced that Scripps Networks Interactive (NYSE: SNI) has acquired licenses for ON-AIR Pro™ that will be initially installed at four of the company’s lifestyle brands. With the goal to further standardize promo workflow and digital delivery across the company’s many cable networks, Scripps Networks Interactive will utilize ON-AIR Pro™ 5 within the Food Network, Cooking Channel, Travel Channel and Great American Country. ON-AIR Pro™ will deliver improvements to onscreen graphics and secondary events content creation through the tight integration with Broadcast Operations and the graphics department. The system will also provide end-to-end ordering and meta-data feeds to allow the automation of creation, rendering and delivery of onscreen graphic content. 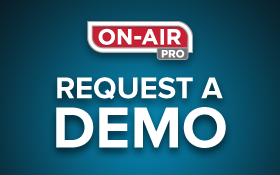 ON-AIR Pro™ is already in use by the Travel Channel and is being upgraded. “We are looking forward to supporting Scripps IT and Broadcast Operations department goals of streamlining the content creation and delivery for these networks,” says Jonathan Mickelson – Chief Technical Officer, Thought Development. Scripps Networks Interactive (NYSE: SNI) is one of the leading developers of engaging lifestyle content in the home, food and travel categories for television, the Internet and emerging platforms. The company’s lifestyle media portfolio comprises popular television and Internet brands HGTV, DIY Network, Food Network, Cooking Channel, Travel Channel and Great American Country, which collectively reach more than 170 million consumers each month. Companion websites complement on-air programming with video and social media that inform and inspire. The company’s global networks reach millions of consumers across Asia, Europe, the Middle East and Africa. Scripps Networks Interactive is headquartered in Knoxville, Tenn. For more information, please visit http://www.scrippsnetworksinteractive.com.